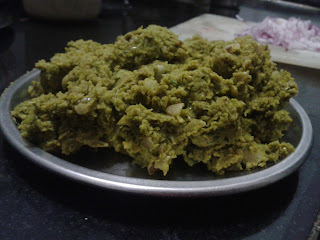 Matar aka Fresh Green Peas is a personal favourite and the main thing that I love about it is the numerous number of ways in which we can use it. 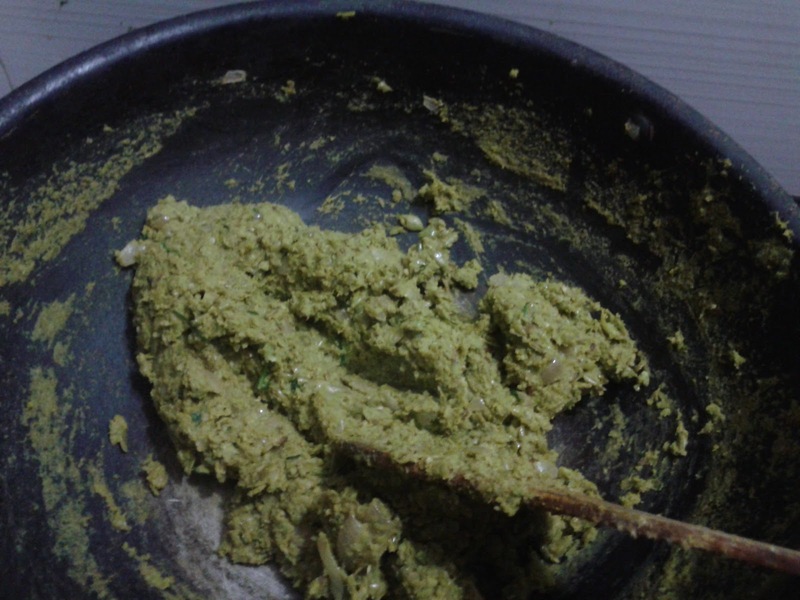 I always wait for the winter season mainly for the fresh vegetables it offers and green peas always tops the list. I always stock up as much of it as possible for future use but manage to end it within a month and then I either keep buying it expensive or go & pick up the frozen ones which I personally feel are no patch over the fresh ones. Unfortunately this year I have not been able to enjoy them because in my diet plan they fall under the "strictly not allowed category" but that hasn't stopped me for using it for family. 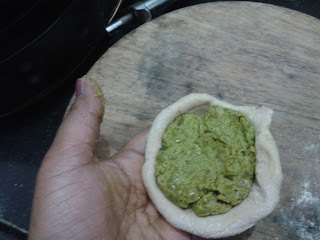 This Thursaday I made Stuffed Green Peas Paratha for dinner (you can make them for breakfast too) and they turned out yummy. 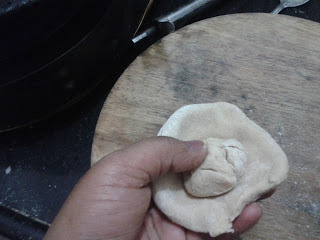 An anecdote related to this recipe is that whenever I used to tell my Hubby that I am planning to make Matar Ke Parathe he would turn his nose saying it would be bland but when I finally served him my Paratha's he was in for a surprise. So here is my recipe for you to try before the season ends. Also few initial pictures are missing as I forgot to click them. Boil the peas and as it turns tender drain the water out. 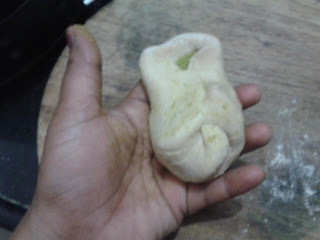 As it cools down put it in a mixer making a paste of it. 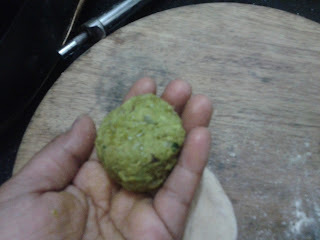 In a pan add oil, once it heats up add the jeera. As it splutters add the onion. 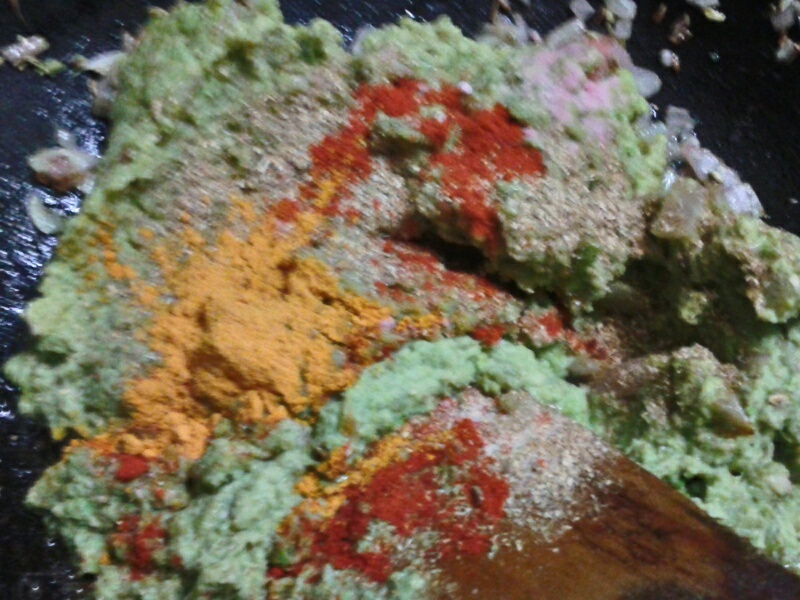 Once the onion turns transparent add the peas followed by all the spices, barring the last two ingredients. Cook this stuffing till the water evaporates and the Peas looks cooked (it will take approx. 15-20 mins to cook at medium flame). Add the Garam Masala Powde &amp; Cilantro leaves, cook for 2-3 more mins and turn off the gas. Take it out in broad vessel so that it cools of quickly. 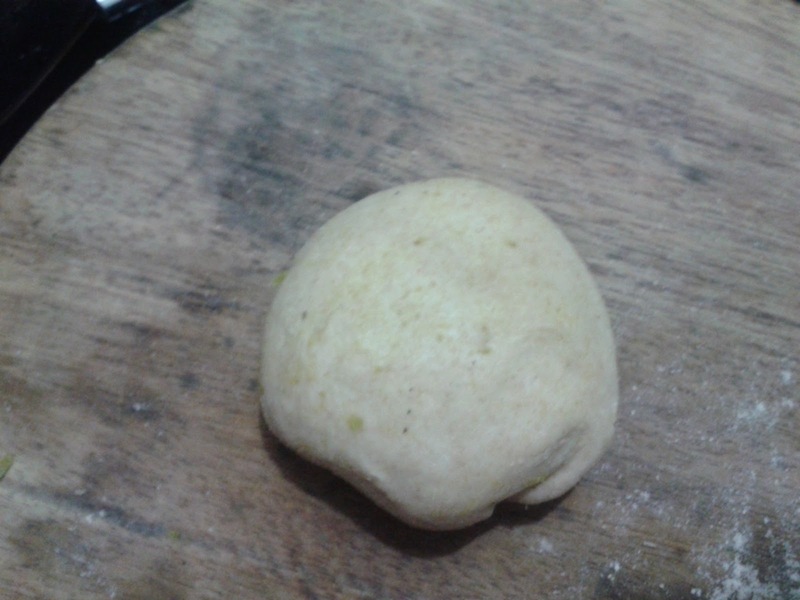 Now prepare the atta dough as you usually do, just add a little salt in it. Take out a small ball of the dough (we call It loi), make a small katori of it and put the stuffing in it. Now I will let the pictures do the talking. 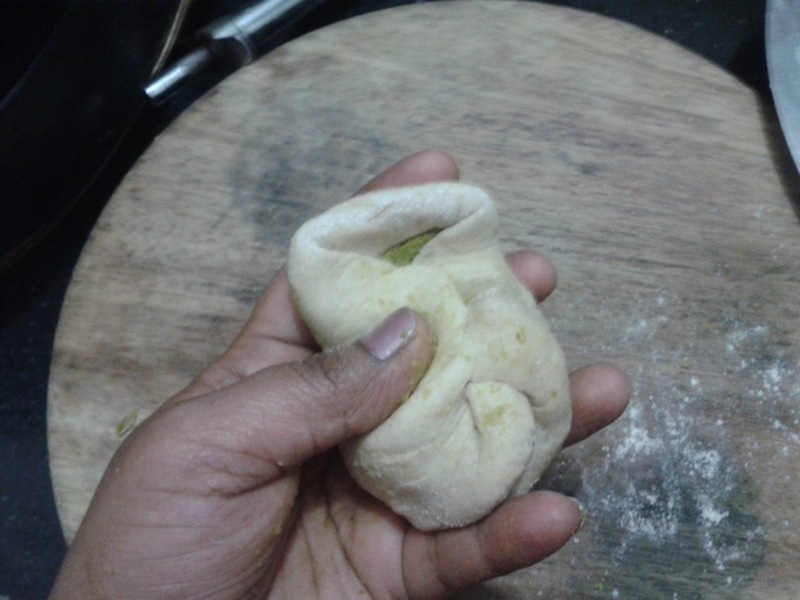 Once the ball is ready roll it like you usually make a roti and then put it on a hot tawa. Once one side is cooked turn it around, put approx. 1 tbsp oil it, spread it across and turn the paratha. 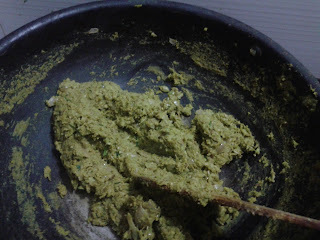 Repeat the same process and with a ladel press the thing till it is cooked from all sides and serve it hot with green chutney. "If you keep a little loi in the center the stuffing will not spill out"... Does this mean that first you roll the dough into a small poori kind, make it into the shape of katori, add a small loi in the centre of the katori and then add peas masala ball and then fold it?? same question as Shilpa. I did not get the part about loi. Can you elaborate on that? This is wonderful tip.. I always was in a fix of how to stop the stuffing coming out without going for a thicker parantha... Will use this next time... Thank you for sharing..